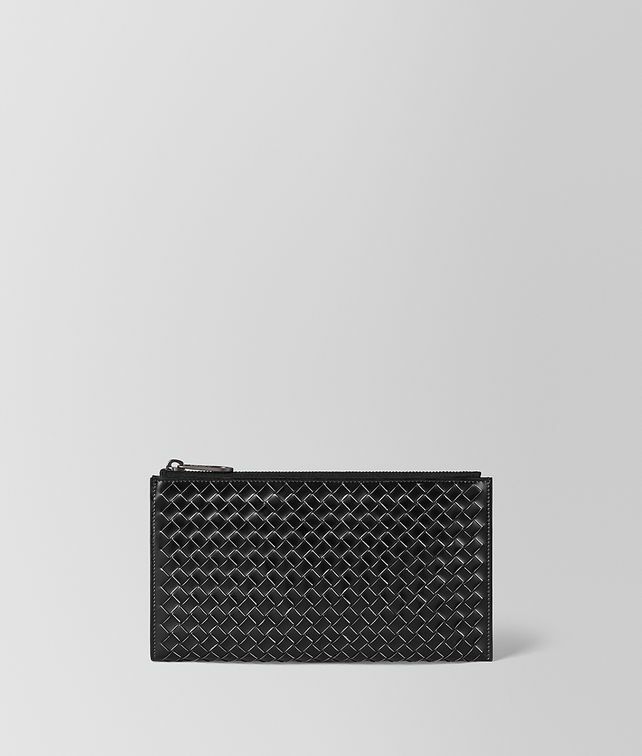 This slim case functions both as a large pouch and as a wallet, with six card slots neatly folded inside the zipped compartment. Crafted from supple intrecciato calf leather, it's large enough to hold documents, notes and travel tickets. The season's distinctive stripe motif adds a discreet pop of colour on the inside.